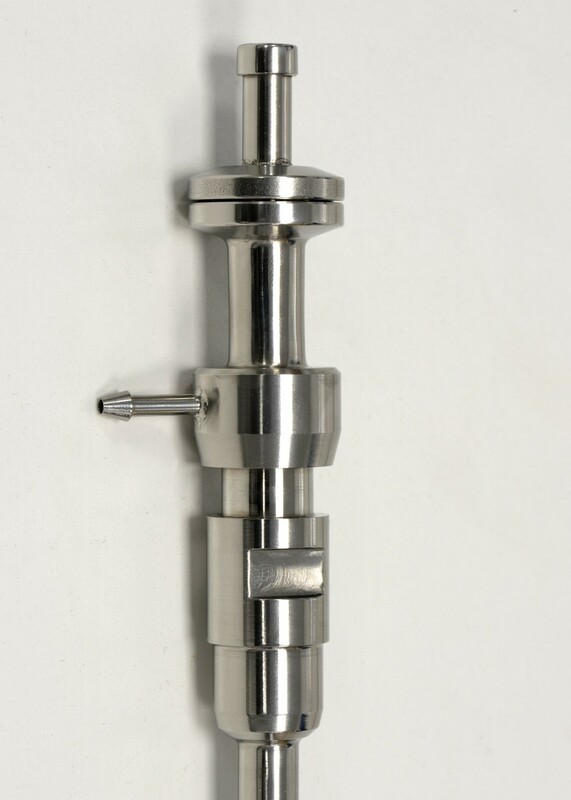 Working in collaboration with key engineers from a leading UK pharmaceutical manufacturer, Axium Process has developed a new Hygienic Filling Nozzle design that has helped eliminate potential cross contamination or lost product with associated downtime caused by standard filling nozzles dripping excess material onto bottles during liquid filling processes. The nozzle, which is manufactured from 316L stainless steel, underwent a series of rigorous trials across a number of applications, and following successful completion has now been installed as standard on the majority of filling machines across the manufacturer’s site. Axium Process is one of the UK’s leading hygienic stainless steel fabricators and specializes in delivering bespoke high-end machined and fabricated components such as sampling devices, filters, tanks, vessels, and manifolds. The company’s procedures and welders are Notified Body Approved to ASME IX, BS EN ISO 9606-1 and BS EN 15614-1, which combined with the company’s stringent production, inspection and validation procedures, enables it to fully meet almost any level of requirement, including full traceability dossiers as specified by companies operating in the pharmaceutical, food, beverage, and chemical industries.